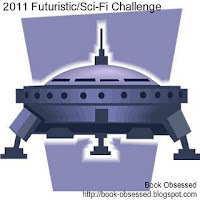 Book Obsessed is hosting the 2011 Futuristic/SciFi Challenge. There are three different levels to this challenge. I've moved up to the highest level, "Dweller" - that's 12 books! Click here to sign up!